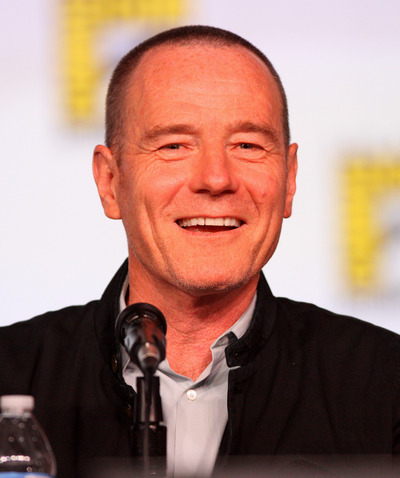 Cranston has directed episodes of various television series, including seven episodes of Malcolm in the Middle, three episodes of Breaking Bad, two episodes of Modern Family and one episode of The Office (USA). He has also appeared in several acclaimed films, such as Saving Private Ryan (1998), Little Miss Sunshine (2006), Drive (2011), Argo (2012), and Godzilla (2014). 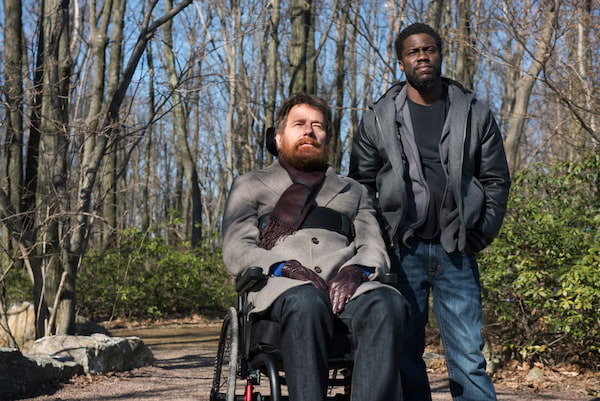 In 2015, Cranston, together with David Shore, executive produced and wrote the story for the Amazon.com original crime drama Sneaky Pete, the pilot episode of which aired on August 7, 2015. Cranston was born in Hollywood, California, the son of Audrey Peggy (née Sell; 1923–2004), a radio actress, and Joseph Louis "Joe" Cranston (1924–2014), an actor and former amateur boxer. He is the second of their three children. He was raised partly by his grandparents, living on their poultry farm in the Canoga Park neighborhood of Los Angeles, California. His father was of German, Austrian-Jewish, and Irish descent, while his maternal grandparents were German immigrants. He has stated that his parents were "broken people" and that they were "incapacitated as far as parenting", causing the family to lose their house in a foreclosure. Cranston's father held many jobs before deciding to become an actor, but did not secure enough roles to provide for his family. He eventually walked out on the family when Cranston was 11 years old, and they did not see each other again until 11 years later, when Cranston and his brother decided to track their father down. Cranston was 22 at the time, and he and his father maintained a relationship until his father's death in 2014. Cranston later claimed that he based his portrayal of Walter White on his own father, who had a slumped posture "like the weight of the world was on his shoulders". During his preteen years, Cranston encountered a young Charles Manson while riding a horse at the Spahn Ranch. This happened about a year before the Tate-LaBianca murders. He graduated from Canoga Park High School, where he was a member of the school's chemistry club. He earned an associate degree in police science from Los Angeles Valley College in 1976. After college, Cranston began his acting career in local and regional theaters, getting his start at the Granada Theater in the San Fernando Valley. He had previously performed as a youth, but his show business parents had mixed feelings about their son being involved in the profession, so he did not continue until years later. Cranston was ordained as a minister by the Universal Life Church, and performed weddings for $150 a service to help with his income. He started working regularly in the late 1980s, mostly doing minor roles and advertisements. He was an original cast member of the ABC soap opera Loving, where he played Douglas Donovan from 1983 to 1985. Cranston starred in the short-lived series Raising Miranda in 1988. That same year, he portrayed astronauts Buzz Aldrin in the HBO miniseries From the Earth to the Moon. Cranston's voice acting includes English dubbing of Japanese anime (under the pseudonym Lee Stone), including Macross Plus, and Armitage III: Poly-Matrix, and most notably, the children's show Mighty Morphin Power Rangers. Cranston did voice work for the 1993-94 first season of that series, playing characters such as Twin Man and Snizzard, for which he was paid about $50.00 an hour for two or three hours of daily work. The Blue Power Ranger, Billy Cranston, was named for him. From 1994 to 1997, Cranston made a handful of appearances as Dr. Tim Whatley, Jerry's dentist, on Seinfeld. In 1996 he played his second astronaut when he portrayed Gus Grissom in the film That Thing You Do! In 1997, Cranston had a small role in Babylon 5 as Ericsson. In 1998, Cranston appeared in an episode of The X-Files written by Vince Gilligan. In 1999, Cranston wrote and directed the film Last Chance. That same year he made his second appearance for a recurring role on the CBS sitcom The King of Queens, playing Doug Heffernan's neighbor, Tim Sacksky. In 1998, he appeared in Steven Spielberg's Saving Private Ryan, as War Department Colonel I.W. Bryce, who insists that Private Ryan be rescued. His theatrical credits include starring roles in The God of Hell, Chapter Two, The Taming of the Shrew, A Doll's House, Barefoot in the Park, Eastern Standard, Wrestlers and The Steven Weed Show, for which he won a Drama-Logue Award. In 2000, Cranston landed a leading role as Hal on the comedy series Malcolm in the Middle. 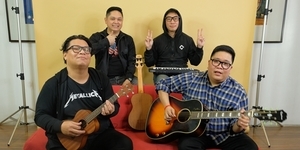 He would remain with the show until its end in 2006. Cranston ended up directing several episodes of the show and received three Primetime Emmy Award nominations for his performance. Cranston reprised his role in a cutaway gag during the Family Guy episode "I Take Thee Quagmire", killing Lois (his wife on Malcolm in the Middle) with a refrigerator door, and in a leaked alternate ending of Breaking Bad with Jane Kaczmarek reprising her role as Lois. He has had guest roles in many television series, including a white-collar criminal searching for his estranged wife and daughter in The Flash, a lawyer attempting to free the title character from a contract in Sabrina the Teenage Witch, and a bigoted man being driven insane by extremely low frequency sonar waves in The X-Files episode "Drive". He also had a guest role in late 2006 on the CBS sitcom How I Met Your Mother, playing Ted Mosby's obnoxious co-worker and former boss Hammond Druthers. He played Lucifer in the ABC Family miniseries Fallen and appeared as Nick Wrigley, an irresponsible uncle who accidentally brings Christmas close to destruction when he steals Santa's sleigh to have a crazy ride, in the 2001 Disney Channel Original Movie 'Twas the Night. He appeared as the more successful business colleague of Greg Kinnear's character in the 2006 film Little Miss Sunshine. In September 2008, Cranston narrated a pre-teen adventure/fantasy audiobook called Adventures with Kazmir the Flying Camel. From 2008 to 2013, Cranston starred in the AMC series Breaking Bad, created by Vince Gilligan, in which he played Walter White, a high school chemistry teacher who is diagnosed with terminal lung cancer. Walter teams up with former student Jesse Pinkman (played by Aaron Paul), to manufacture and sell methamphetamine to ensure the well-being of Walter's family after he dies. Cranston's work on the series was met with widespread critical acclaim, winning him the Primetime Emmy Award for Outstanding Lead Actor in a Drama Series in each of the show's first three seasons and being nominated in 2012 and 2013 for seasons four and five (winning again in 2014 for the second half of season 5). Cranston and Bill Cosby are the only actors to have won the award three consecutive times. Cranston was also a producer for the fourth and fifth seasons of the series, and directed three episodes of the show during its run. In 2011, Cranston had supporting roles in three successful films, the drama The Lincoln Lawyer, as well as the thrillers Drive and Contagion. He voiced James Gordon in the 2011 animated film Batman: Year One. In 2012, he had supporting roles in John Carter, Madagascar 3: Europe's Most Wanted as Vitaly the tiger, and Rock of Ages, and a major role in the hostage drama Argo. He also lent his voice to several episodes of the animated series Robot Chicken. In 2012, he starred in the remake of the 1990 film Total Recall, as Chancellor Vilos Cohaagen, the corrupted president of a fictional war-ravaged United Federation of Britain. In the same year, he made a guest appearance as Kenneth Parcell's step-father, Ron, on the NBC sitcom 30 Rock, and was invited to join the Academy of Motion Picture Arts and Sciences. From September 2013 to June 2014, Cranston played U.S. president Lyndon B. Johnson in the American Repertory Theater and Broadway productions of All the Way, in a performance that has received widespread acclaim. He also played scientist Joe Brody in the 2014 reboot of Godzilla. Cranston has produced an instructional DVD called KidSmartz, which is designed to teach families how to stay safe from child abductors and Internet predators. KidSmartz raises money for the National Center for Missing & Exploited Children by donating half the proceeds from sales. Also, following the success of Breaking Bad, the year 2014 saw reports of Cranston developing new TV projects in collaboration with Sony Pictures Television. On July 16, 2014, it was announced that Cranston would star in an HBO adaptation of his hit play All The Way. Steven Spielberg was set to be an executive producer on the film. In 2015, Cranston starred as screenwriter Dalton Trumbo in the biopic Trumbo for which he received his first Academy award nomination. In 2016, Cranston voiced Li, the biological father of Po, in Kung Fu Panda 3. Later that year, he announced that he would be playing Zordon in Lionsgate's Power Rangers, which marks his return to the franchise after providing voices for the show's first season. In 2016, he appeared in many films including The Infiltrator and Wakefield. On October 11, 2016, Cranston published his memoir A Life in Parts. From 1977 to 1982, Cranston was married to writer Mickey Middleton. At 33, he married Robin Dearden, whom he had met on the set of the show Airwolf in 1984. He was playing the villain of the week and she played the hostage he held at gunpoint. Their daughter, Taylor Dearden Cranston (born 1993), is a theatre studies student at the University of Southern California and played an extra in the Breaking Bad episode "No Mas", directed by her father. Cranston played baseball when he was a student and remains a collector of baseball memorabilia and an avid fan of the Philadelphia Phillies and the Los Angeles Dodgers. When he accepted his third Primetime Emmy Award for Outstanding Lead Actor in a Drama Series, Cranston thanked his wife and daughter, and told them he loves them "more than baseball". The family has a beach house in Ventura County, California, which Cranston designed. Cranston lived in Albuquerque, New Mexico while filming Breaking Bad. He was a co-owner of the former independent theater Cinemas Palme d'Or in Palm Desert, California. To commemorate the final episode of Breaking Bad, Cranston and castmate Aaron Paul both got Breaking Bad tattoos on the last day of filming; Cranston's tattoo consists of the show's logo on one of his fingers. 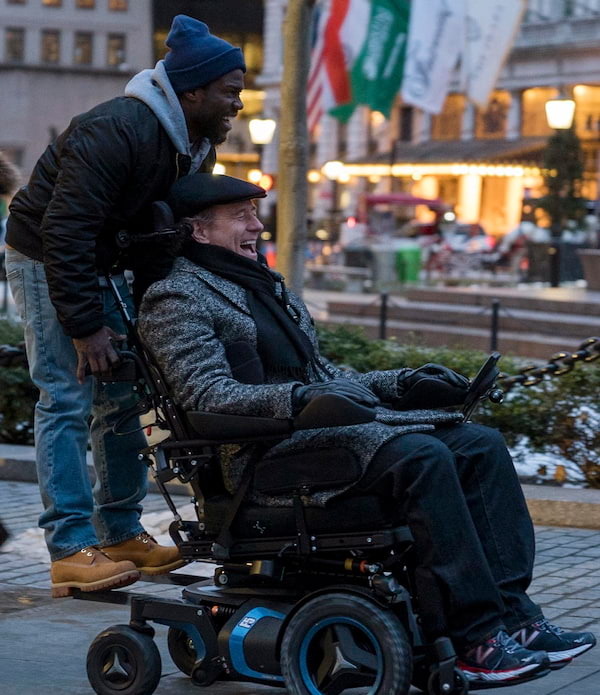 Breaking Bad's Bryan Cranston Teams Up with Comedian Kevin Hart in New Buddy Film "The Upside"
Award-winning Bryan Cranston in R-rated Family Movie "Why Him"